Home»Articles»General Information»How Will Augmented and Virtual Reality Reform the Insurance Industry? How Will Augmented and Virtual Reality Reform the Insurance Industry? The use of Augmented and Virtual Reality in the insurance industry has seen a boost in recent years. However, the invention of these technologies dates back to the 1950’s where prototypes of devices like The Sensorama and Telesphere Mask were first created. The applications of Augmented and Virtual Reality manifold across different fields like military, healthcare, education, and entertainment. With respect to insurance, if implemented correctly, these technologies will help the industry see a surge of profit as a result of increased customer satisfaction. Initially, Augmented Reality (AR) and Virtual Reality (VR) were considered to be highly advanced in nature, having primary applications in the military. However, these technologies have deep-rooted uses which can facilitate superior performance across multiple processes. Before we begin discussing the potential reforms AR & VR could bring in the Insurance Industry, let’s understand what these technologies are. Virtual Reality (VR) is a computer generated environment created exclusively with extensive algorithms and high-functioning graphics. VR has a spectrum of applications starting from video games to treating physiological disorders. Augmented Reality (AR) is a part of Virtual Reality (VR), where the real world meets the virtual world. Computer-generated elements superimposed on the user’s view of the real world forms AR. It uses a combination of devices like a projector, monitor or handheld devices, various display systems etc. The simplest way to understand Augmented Reality is through the commonly played game, Pokemon Go. It is the most famous example of AR, where people ‘capture’ fictional animals in the real world using their mobile devices. How will Augmented and Virtual Reality Change Insurance? A Claim Processor holds one of the most important positions in the insurance industry. Their job is to investigate a claim by communicating with policyholders, police officials, witnesses, etc. 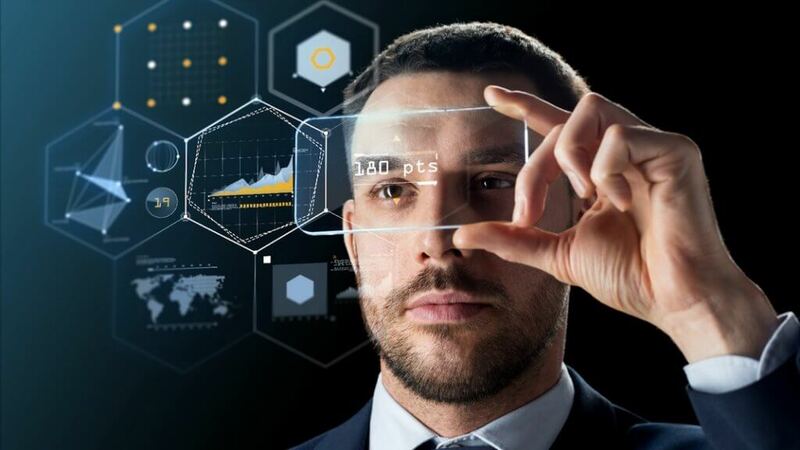 With the help of AR and VR, freshers will gain virtual experience to carry out this job with more confidence, resulting in high accuracy output. Unprecedented risks can be mitigated by creating exceptional simulators, which will be beneficial for both the insurer and the insured. Insurers can educate the insured about ways to reduce the chances of filing a claim. Also, with the help of AR and VR, disaster management programs can be built for the same purpose. Acquisition and retention of a potential customer base will be easier than it is currently. These technologies will shatter the limitations of reaching a larger audience by advertising in 2-D. For advertising, virtual environments can be created to imitate on-road risks to which a customer is exposed to. This could create awareness about the importance of buying motor insurance. Creative marketing ideas could be implemented in applications running on AR and VR for this purpose. The process of claims, with respect to insurers will witness a positive change with the help of Augmented and Virtual Reality. The applications of this technology in this process are limitless. If these technologies work in accordance with the Internet of Things, the result will be a high-quality mixture of speed and accuracy. Insurers can process a claim faster with AR & VR, and also detect frauds effectively. Faster claims will correspondingly increase customer satisfaction. On the other hand, accurate processing will be beneficial for business owners. Implementing Augmented and Virtual Reality in customer service will yield astounding results. Communicating with a company representative over the phone will not be limited to voice or video calling. A representative will virtually be present with the customer to gauge the issue. This will facilitate better communication and provide detailed insight into taking the appropriate actions by both parties. Augmented and Virtual Reality have the potential to bring reforms in the insurance industry. However, integrating these technologies seamlessly in the process may not be an easy task since transitioning from old methods will require large scale expertise and resources. But once done, AR & VR are the technologies which will surely help us narrow the gap between the insurer and insured. Read informative General Insurance Articles at Acko. Why Is It Mandatory To Obtain A PUC Certificate?